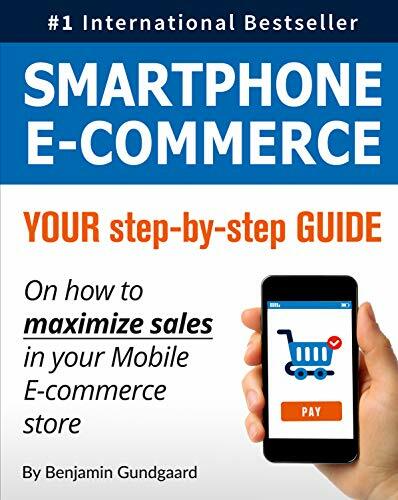 Best Seller Publishing announces the release of Benjamin Gundgaard’s new book, “Smartphone E-commerce: Your step-by-step guide on how to maximize sales in your mobile e-commerce stores.” It will be available for 0.99c in the Amazon Kindle Store for one more day on November 9th. Based on extensive user tests of the world’s largest mobile shops-including Amazon, eBay, ASOS, Walmart, and Debenhams “Smartphone E-commerce” provides you with a detailed account of what they’re doing right, where they could markedly increase conversions, and how your smartphone-optimized online store could outperform even the biggest names in the e-commerce game. By purchasing Benjamin Gundgaard’s new mobile e-commerce methodology, you will increase your revenue potential while saving money on erroneous investments. “Smartphone E-commerce” shows you how to build your online mobile shop correctly from the ground up. This will undoubtedly help you save a lot of time and money. Each chapter provides you with a summary of the primary optimization principles and recommendations, and the end of the book contains a mobile web shop checklist with 204 guidelines to help you create your own e-commerce store. Thus, “Smartphone E-commerce” can be used as a reference book to enhance specific aspects of existing mobile sites as well. “Smartphone E-Commerce” by Benjamin Gundgaard will be .99c and available for download on Amazon for 1 more day (11/092018) at: https://www.amazon.com/dp/B079X5425V. “I have worked in the e-commerce industry since 1995, and I have sold software and services for several hundred million DKKs [Danish Krone], most recently with the Dinero accounting system. This has provided me extensive knowledge about how people shop online and especially what keeps them away from sites that do not meet their expectations. “I’ve been an avid fan of Benjamin Bundgaard for years now.His insights and practical way of explaining things never ceases to amaze me. This book is filled with practical insights that you can implement, some harder than others, when it comes to increasing your revenue from mobile devices.